Here i am again with another edition of macro monday. Because of my coverage with annual spring flower show (see below post) i could not take much macros but still those i got were worth posting. 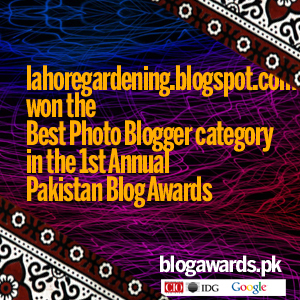 This one was shot at lawrence garden lahore. I am not sure what it is but it seems to be a hummingbird moth. Though we do not have hummingbirds here but sunbirds. Lovely sight though. update: This is some species of clearwing hummingbird moth. Stock is the most fragrant annual of spring. And bees love them too. This one shot at my terrace. 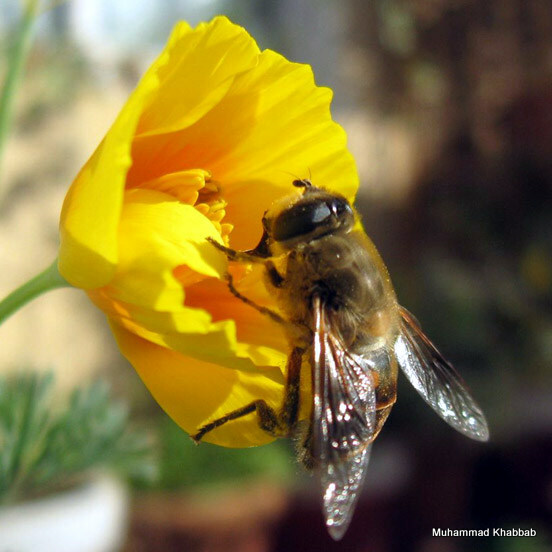 This bee seems to be too involved in california poppy. Again captured on my terrace. I must find out about that little sunbird! So cute. What a treat to go to a flower show such as the one in your previous post! i think hummingbird moths are one of the coolest insects….loved this photo! 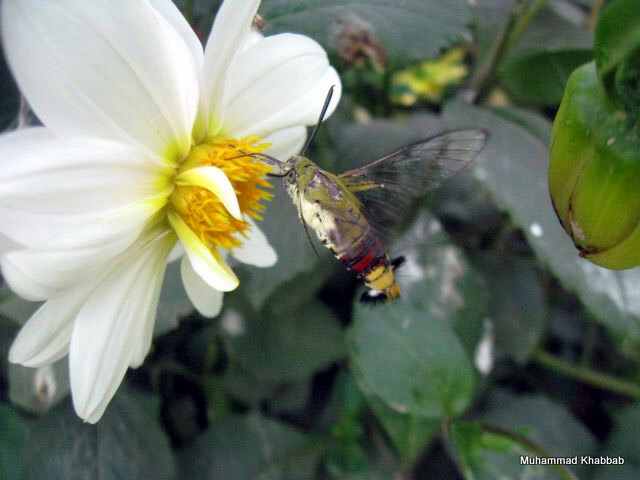 The first picture is surely a clearwing hummingbird moth, however not sure with exact species. 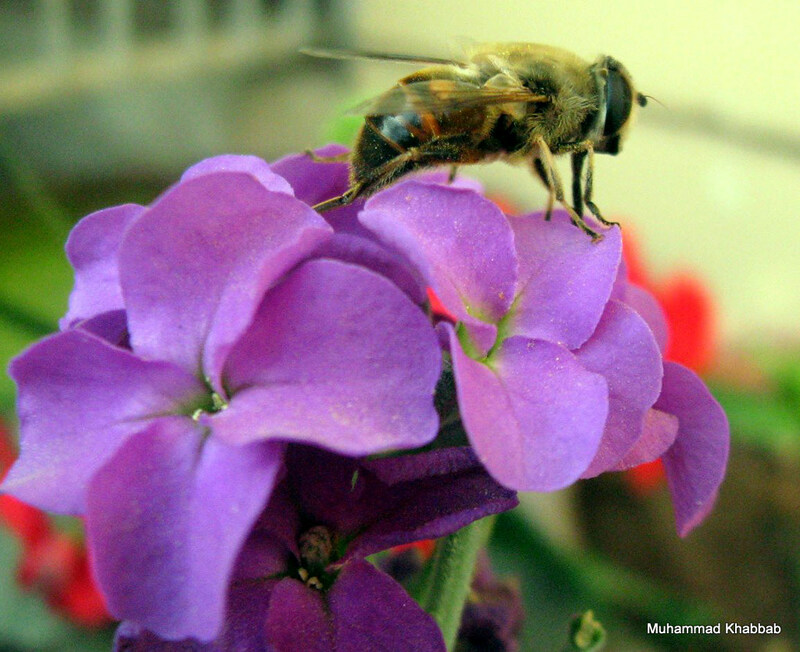 Your picture confirms that hummingbird moths do exist in Lahore. Bugs make for the best models! Its great to see a blog on such a unique subject. Would you like to post on our blog where different people can read and make comments on your write-ups? @Mariam thanks. I would love to write on your blog. But i could not access your blogger profile so unable to let you know. I remember the first time I saw a hummingbird moth. My mouth was wide open. I couldn’t figure out what I had just seen. Great pics. Wonderful photos, indeed. The second one is my favorite!